PAINTING her colourful artworks is a very satisfying experience for Numpueng, whose third solo art exhibition opens today at the Kuala Lumpur Performing Arts Centre (KLPac). “It makes me feel so happy to see the slowly emerging art from my painting progress with each piece. 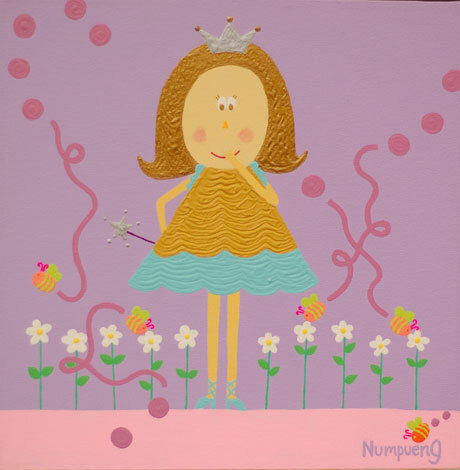 Each artwork is special to me,” Numpueng (pronounced “Nam-p’ng”) said. 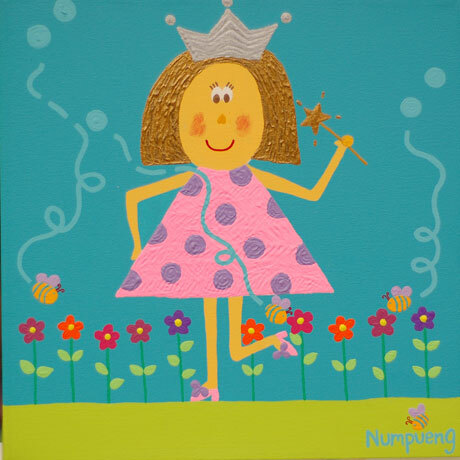 Sometimes, however, she would oblige requests to paint a second piece of a previous artwork. 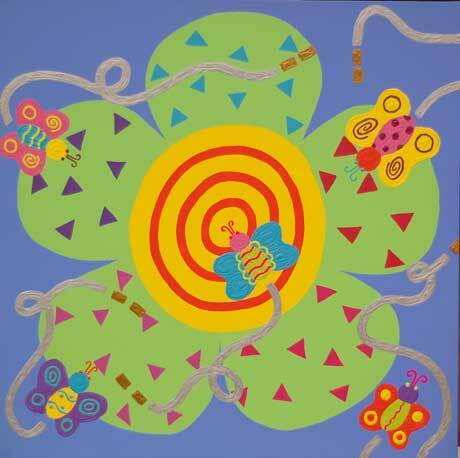 All around, 2009, Acrylic on canvas, 40 x 50 cm. 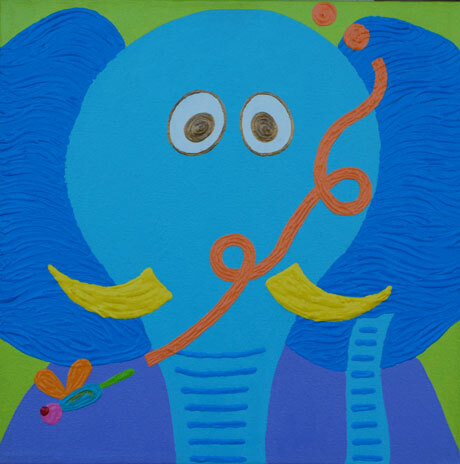 Like a cow (boy), 2009, Acrylic on canvas, 30 x 30 cm. 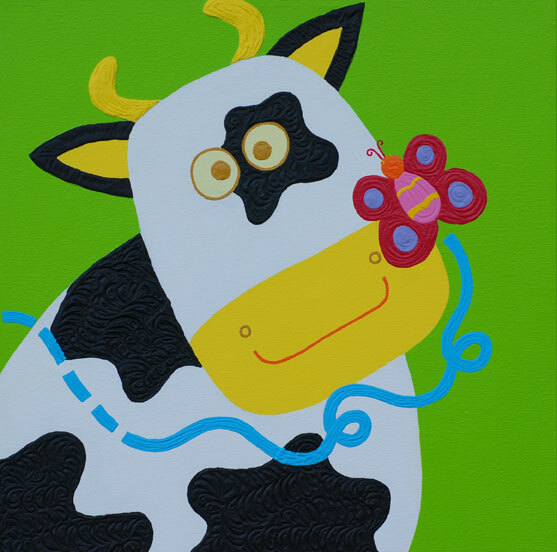 Like a cow (girl), 2009, Acrylic on canvas, 30 x 30 cm. These are some of my new paintings for my coming exhibition at the KL Pac, 16 November -6 December 2009. Kuala Lumpur Performing Art Centre (KL Pac), Jalan Strachan, Kuala Lumpur. This is my up coming exhibition in November, 3 to 30 Nov. 2008, at KLPac, Jalan Strachan, Kuala Lumpur, Tel: 03 4047 9010, 10 to 10 Daily, Free. There are many busy butterflies in my painting. This picture is made up of many of my basic shapes in my other works. 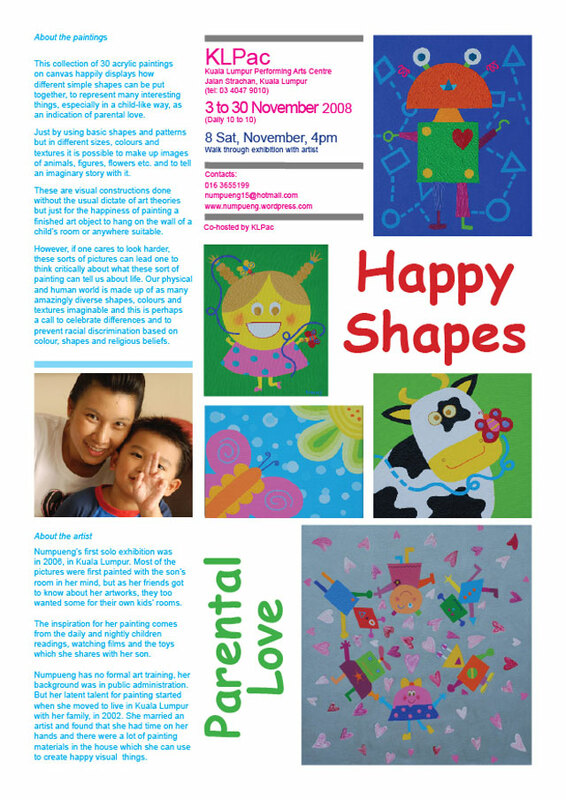 The circles, triangles, wave lines all make up a cheerful image. 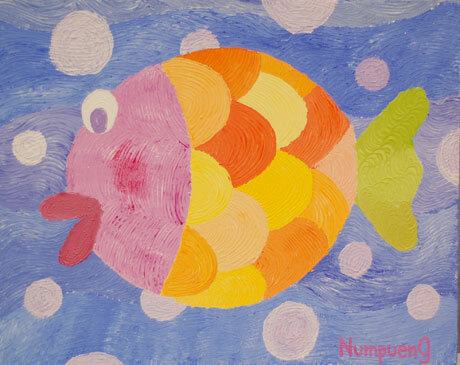 I like this fish painting as it reminds me of how happy the fishes are in the sea, that is if there are no bigger fishes eating smaller fishes. But this is life, under the sea and also above the sea. The colours are also bright and cheerful. These two paintings of little princess was exhibited in 2006 at my first solo painting exhibition in Kuala Lumpur. I exhibited 30 paintings and 25 were sold including these two paintings. Don’t you think these two art works are great ? 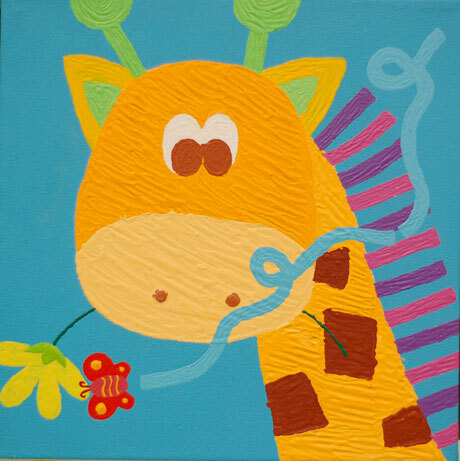 Giraffe was painted in 2006 and it is part of a pair of two giraffes. It was the beginning of a new way of painting at that time. Before that, I was painting with a brush, applying the paint in a normal flat manner on the canvas. But this work was done with a more impasto manner with using thicker paint and using a brush as well as other tools like the ends of the brushes. This two artworks were sold at my exhibition in 2006. This is my new painting and it is part of my series on animals. I like painting animals because my son is now vary interested in knowing more about animals in the wild and also in the zoo. We took him to the Zoo recently and it has started his interest in the subject. I hope other kids will also be happy to see images of animals too. 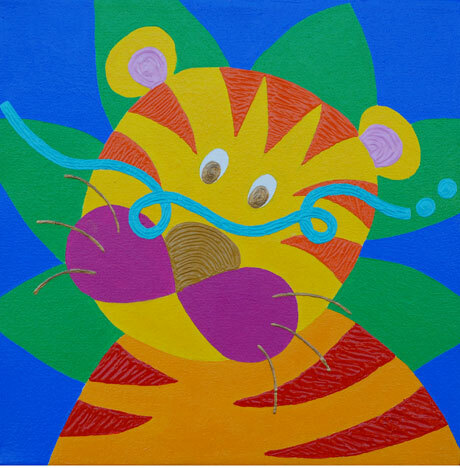 This is my new painting, tiger, and i painted it this month. My son and my husband likes it vary much. My son Seenum say to me this morning that this painting is not for sale. How am i going to get money to buy his milk for to day?